How to remove stretch marks on shoulders? Reason rapid growth of muscle with slow growth of skin. muscle stretch the skin that tears and Appears as the scratch. Our skin has elastic properties, but growing too fast can “overstretch” the skin’s elastic limit. Lifting high weight can stretch the skin to make scars. Losing collagen and elastin in the skin causes stretch marks. 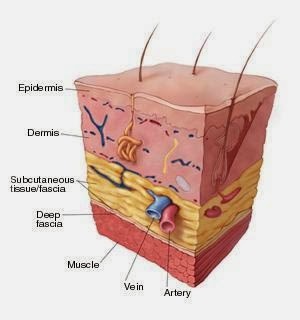 stretch marks are actually in the middle layer of the skin. when you wearing a short T-Shirt to expose your muscles, but Stretch marks will appear then you have to hide muscle along with Stretchmarks. How to avoid stretch marks bodybuilding? Eat plenty of water and Mutli vitamins& Minerals especially for the skin. “NO smoking please ” tobacco kills skin elasticity. Rub coconut oil, and some other tanning lotions like suntan lotions, sunless tan lotion, show tan and other. Rub with Vitamin E lotion. these lotions hide your scratches from visible. Take supplements while building muscle to avoid stretchmarks those are Creatin and 4 Andro. Take multi-vitamin & minerals supplement for healthy skin. Vitamin A, E, C and Zinc plays vital Role to make skin Health. Focus on lean muscles rather than building. Expoliate & moisturize before the bath. Rub daily 2 times with Vitamin E lotion. Take stream Both once in a week for 30-60 minutes. it helps to development collagen indirectly elasticity of skin. Heredity plays the important role some people don’t’ have stretch marks even if they don’t have some type nutrition for health, over building muscle also because their skin based on their heredity. but we can improve our skin from heredity. You cannot remove the stretch until you get a surgery/laser/peeling/ removing specific part” but you can improve the appearance by taking some instructions following bellow. I have founded a website to remove stretch marks, but I don’t know what they are saying you may get some information and tips http://www.goodbye-stretch-marks.com.